With UFC 133 now written in MMA's history books, what other match-ups would you like to see afterwards? Former UFC light heavyweight champion – Rashad Evans – proved that there is nothing rusty about him, as he was able to defeat Tito Ortiz at UFC 133 last August 6. Indeed, Suga came back in the cage after more than a year, and he made it with a vengeance. That said, here are five matches that fans would like to see after UFC 133. 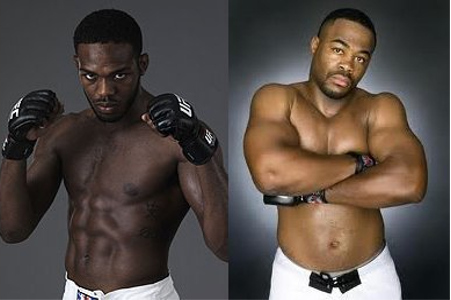 Rashad Evans can sit back and relax, as Jon Jones will defend his light heavyweight title for the first time against Quinton “Rampage” Jackson at UFC 135. A victorious title defense from the reigning champ would set up the best of match-ups, as he and Rashad Evans have sniped at one another since the latter left Jackson’s Mixed Martial Arts. After his one-sided decision win over Rani Yahya, it’s time for Chad Mendes to shed the “prospect” label. He is a dominant wrestler with improved stand-up and excellent submission defense, making him a handful to anyone in the featherweight division. That said, he almost looms the victor between Jose Aldo and Kenny Florian’s title match at UFC 136. Vitor Belfort was brilliant in out-pointing Yoshihiro Akiyama at UFC 133 last August 6. And while he desires a second crack against the reigning Middleweight champion, it is still unlikely to happen unless unforeseen circumstances clears his path. Nevertheless, a winner between Chris Leben and Mark Munoz would serve for a potential title shot match. Hence, Vitor Belfort can be of service for this bout. While Tito Ortiz fought valiantly but unsuccessfully against Rashad Evans at UFC 133, he’s certain to have at least a fight or two ahead of him. And with Antonio Rogerio Nogueira recuperating from a neck injury, a match-up between the two of them could be ideal. That is if you’ll consider their respective timetables and ranking within the division. Rory MacDonald emerged as the top young talent in the welterweight division, after taking Mike Pyle down at UFC 133. Johny Hendricks, on the other hand, can wrestle with anyone in the welterweight division. His considerable wrestling chops and natural power would make him an interesting proposition for Rory MacDonald. How about you? What other match-ups would you like to see after UFC 133? Let it be heard at the comments below.